The flat is 80m2, on the last floor of a new building of 3 floors. Oriented south, it beneficiates from a lot of lights, enhanced by large Belgian style windows. Interior is renovated, fully equipped and modern designed. It's a perfect match for a couple or a 3 people family looking for a large and clean place, with light and easy to the beach. We are a married couple, working in the architecture and the high tech in Tel Aviv. 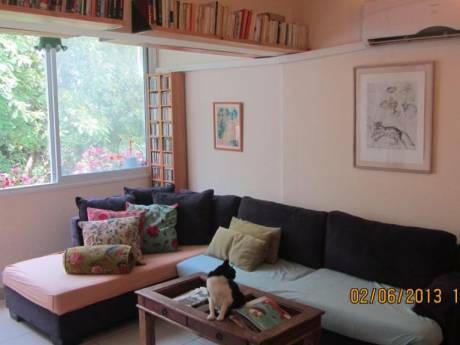 We love clean and quiet home, close from cultural places. 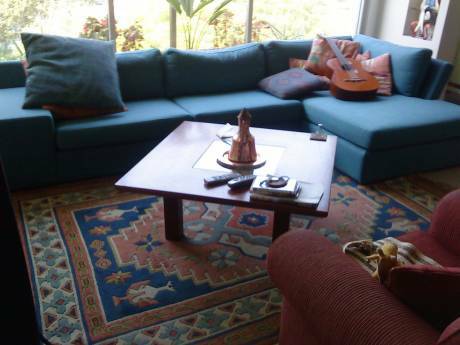 The flat is located in the historic district of Yaffo, in Tel Aviv, in the heart of the flea market. The flea market area is well known for its nightlife and cultural activity: wine bars, restaurants, shopping, etc.. 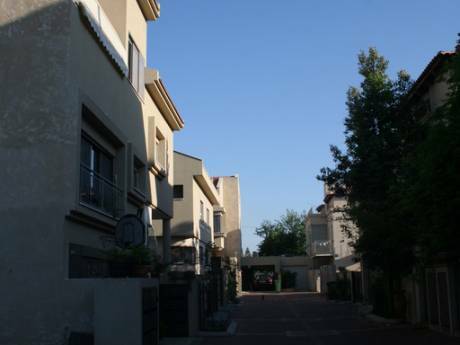 Neighborhood is inhabited mostly by families that are looking for a quiet area, 5 min from the center of Tel Aviv and 3 min from the beach. Yaffo is an important touristic area. You will find the old Arabic city to visit, the old harbour and its typical oriental life.